How much rearranging of furniture did you have to go through in order to put up your Christmas tree? It might be that there is always an empty corner where the tree goes. Now is the time of year when that corner is going to be cleared once again. First, the ornaments and lights have to come off the tree. Then what happens? You have two choices. You can either drag the tree out of the house and down to your curve in the hopes that the city will pick it up or you can hire Junk King Denver to make sure it is picked up on your schedule. 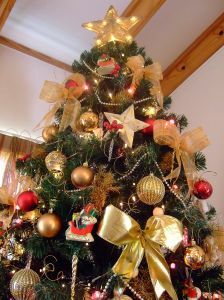 Yes, along with all the other rubbish removal the Junk King handles, they can also take care of your Christmas tree removal. When you hire Junk King, you are hiring them to work around your schedule. You may only have one shot to get the garbage crew pick to up your Christmas tree but with junk King that pick up time can be what works best for you. And you won’t have to carry anything down to the curb. The crew from Junk King is going to remove the tree right from where it is. They would even sweep up the needles when the job is done! Along with the Christmas tree, you might have some other rubbish items that you want to get rid of. They could also be “falling apart” like the Christmas tree. That makes it even vital to have professional movers on the task. You want to take exceptional care with carrying appliances and furniture out of the house so as not to scratch up the walls and floors. This is something that Junk King crews take great care with. Not only does it make you a satisfied customer but it also ensures that you will recommend Junk King to your friends and family. If the decorations are off the tree today, then you can call junk King and set up your appointment. You might even be able to score a same day pickup. It is always a little bit sad get rid of the Christmas tree because it means the holidays are officially over. This year, let Junk King Denver handle your Christmas tree removal and rubbish hauling the right way and on your schedule. This entry was posted in Denver Junk Removal and tagged Christmas tree, Junk King, junk removal, rubbish on December 30, 2018 by Junk King. Last updated December 30, 2018 .